Vijay Iyer and Craig Taborn, two of creative music’s most resourceful players, learned to meld and mesh their artistic approaches inside Roscoe Mitchell’s Note Factory ensemble (as documented on Mitchell’s 2007 recording Far Side). 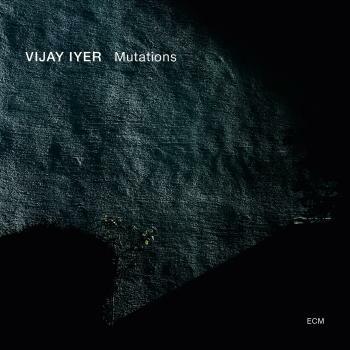 Since then, Iyer and Taborn have continued to play concerts together. 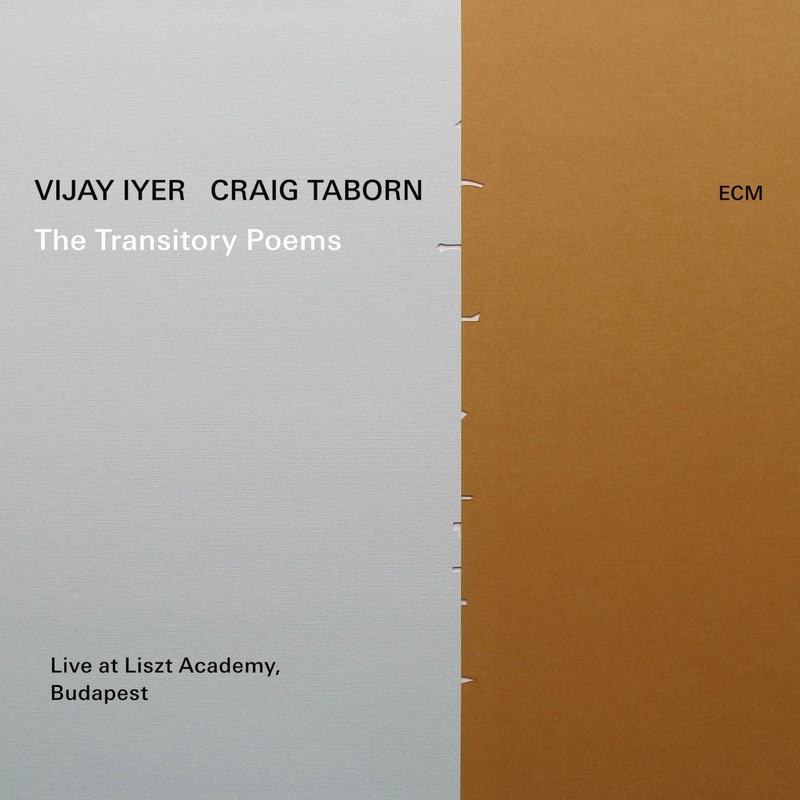 The Transitory Poems, recorded live at the Franz Liszt Academy, Budapest, in March 2018, is their first duo album. A marvel of shared invention, it incorporates pieces offered as tributes to formative influences including pianists Cecil Taylor, Muhal Richard Abrams and Geri Allen, and the painter and sculptor Jack Whitten. Listening back to their recording, the players heard it as “a series of homages” to great artists who had profoundly influenced them, artists who had recently passed away. “Luminous Brew” is dedicated to Cecil Taylor, the pianist whose music, in its intensity, polyrhythmic complexity and sound organization, remains a vital reference for a generation of musicians. 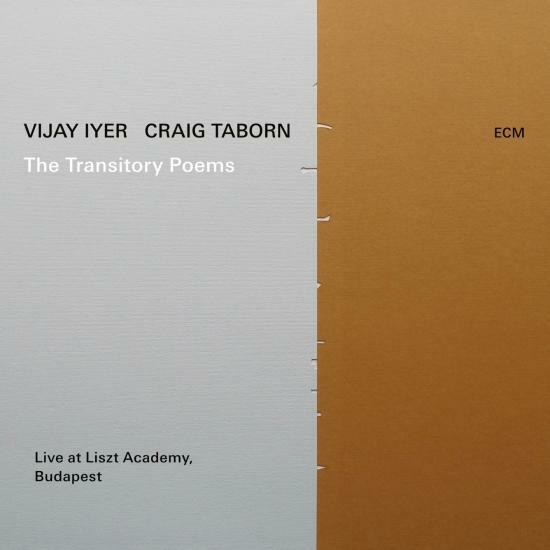 The Iyer/Taborn album title derives from a Taylor interview, in which humanity and its endeavours are considered ‘transitory poems’, unfolding against a backdrop of the mountains that are here to stay. “Clear Monolith” is for Muhal Richard Abrams, the visionary pianist, composer and improviser, who lit the paths of the early AACM and opened unexplored routes for the music. The painter and sculptor Jack Whitten, dedicatee of “Sensorium”, described himself - in his log Notes from the Woodshed - as “a quantum expressionist”. Whitten derived much inspiration for his work from jazz, and spoke of translating Coltrane’s sheets of sound into sheets of light. The final track is dedicated to Geri Allen and hints of her theme “When Kabuya Dances” emerge gradually through the improvisation that is “Meshwork”, before the Allen composition, a modern classic, comes to the fore.